Steam Early Access – Good, Bad, Ugly? Creative Director of SKARA, Pablo Rodriguez on the risks and the benefits of Steam Early Access. 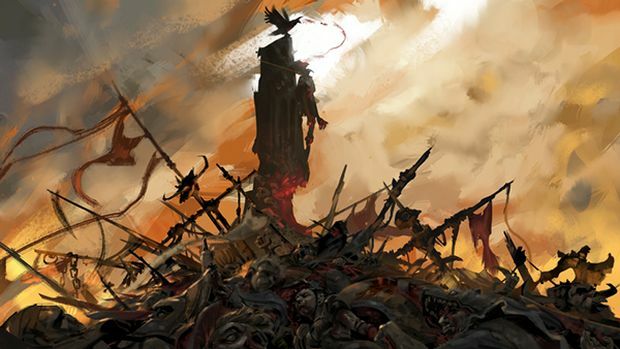 Written By Pablo Rodriguez, Creative Director of SKARA, The Blade Remains. Steam Early Access could be described as the Wild West of the gaming industry: The rules have yet to be written, authority has yet to establish any kind of firm grip, and great fortunes seem to await everyone who goes there. However, with Valve’s recent move to establish more rules and guidelines for Early Access, that may be changing. It certainly gave our whole team at Skara, The Blade Remains much to ponder, as developers for one of the last Early Access titles to be released prior to the new guidelines. So here are my thoughts on the Early Access topic in general, what the program is good for and whether the new guidelines help make those aspects better. "When it came to Skara’s Early Access, we thought it would be important to offer something back to these players willing to invest, so we have pledged that all Early Access members will get their money back as in-game currency and several limited edition in-game items once Skara is fully released." Firstly, Early Access is a key way for indie developers to get their product out to the people as quickly as possible, bugs and all. And the play time Early Access purchasers put in is useful to most indie developers in showing them how to improve their projects. In Skara’s case, this is certainly true. So why are first adopters paying for the privilege to play Early Access games? Why isn’t it the other way around? Indie titles run a huge risk by putting themselves on Early Access. Nothing could be easier for players than to rip the experience around the incomplete game apart, and with it the morale and confidence of the game’s developers. Making players pay for the privilege of playing acts as a kind of barrier to bad reviews and ensures that those taking part are invested in the process. When it came to Skara’s Early Access, we thought it would be important to offer something back to these players willing to invest, so we have pledged that all Early Access members will get their money back as in-game currency and several limited edition in-game items once Skara is fully released. In that sense, the new guidelines are really good. It is in both the developer’s and the purchaser’s best interest that they know what they are signing up for. And although the onus is on the developer to make sure that communication is clear, it is not altogether in their power whether secondary sales sites use that communication. One clever way around this, which is mentioned in the guidelines, is to include the words ‘Early Access’ in the title of the game. Secondly, Early Access is a good way for new titles to test their concepts on a real audience. Making even a simple game requires thousands upon thousands of small decisions, things that are often difficult to alter after the fact. Having even a small group of dedicated players helps designers and developers make those decisions. "Early Access purchasers also take a risk by buying the game, that the game won’t get finished. It is completely normal that some users are starting to mistrust these projects. They are right. For the last two years a few studios tried Early Access as the last attempt to save their games, but because the sales were below their expectations they were forced to close the studio, unable to deliver what they promised." With a game as complex as Skara, this is doubly true. Our community was helping with ideas from the beginning, in forum discussions about combat mechanics, etc. Turning our targeting system into a manual one was a crazy three months task, but we did it because our players asked. And they were right, the game is much better after this unexpected change. And I could continue for days describing how helpful our players have been since we released our game on Steam. Of course, making a game is a huge, and hugely expensive risk. Lots of developers can only afford to make games in their spare time, while holding down full time jobs. For the ones that go full time, failure has very serious consequences attached. They are heroes to me: for each new version of Call of Duty, there are thousands of small developers working their tails off to amaze and entertain you. Because THAT is the only reason they do what they do: passion, and a job that is a hobby to them. Early Access purchasers also take a risk by buying the game, that the game won’t get finished. It is completely normal that some users are starting to mistrust these projects. They are right. For the last two years a few studios tried Early Access as the last attempt to save their games, but because the sales were below their expectations they were forced to close the studio, unable to deliver what they promised. "After all, arguably any kind of entertainment investment is a risk. A movie may be lousy, a comedian might not be funny, the food at a restaurant may not be to one’s taste. Why should games promise anything more?" As a user, it would be completely normal to be bummed out and even angry if this happens. But really, that kind of risk pales in comparison to the risks the developers make. After all, arguably any kind of entertainment investment is a risk. A movie may be lousy, a comedian might not be funny, the food at a restaurant may not be to one’s taste. Why should games promise anything more? In that sense, the new guidelines telling developers to launch only if they can afford to without sales and “to set expectations properly” do seem a bit harsh on developers, especially indie developers. Customers should be warned, but at the same time developers should be given some recognition for trying to create, even if they fail. All in all, the new Early Access guidelines are a really helpful way for developers to think about their Early Access plans and establish their Early Access communications. We hope to see many more games go the way we have by opting for an Early Access and we hope many more gamers will see the benefits of playing Early Access games. Note: The views expressed in this journal are those of the developer and do not necessarily represent the views of, and should not be attributed to, GamingBolt as an organization.